Doctors are known for having some of the worst handwriting in the world. Nuance could have the solution. I once had a colleague who wasn't efficient typing emails and documents and hence resorted to using Dragon's speech recognition software. I've spent countless hours sitting in an office hearing someone talk to their computer and (it has to be said) grow frustrated at mistakes and issues around accent recognition. The company behind Dragon, Nuance Communications, is focused exclusively on speech and language solutions. Across its many different products, Nuance powers speech to text for literally millions of users every day. The company is today launching Dragon Medical One, a cloud-based platform that is all about helping physicians deliver voice-driven documentation. All of us (or anyone who has visited a doctor lately, anyway) know that documentation is a massive part of a clinician's life. The sheer amount of paperwork that practitioners need to complete is mind-numbing. It is also, sadly, a real drain on clinician productivity. Despite the reduction in efficiency that comes from paperwork, there is practically zero chance of the requirements being dropped anytime soon. So how do you make it more efficient for doctors to fill in all those forms and systems? Well, one way is to allow them to use their voice and record information while they are actually assessing the patient or doing other activities -- to enable them to, as it were, do two things at once. This is where Dragon Medical One comes in. The cloud-based platform provides voice-driven clinical documentation. With the release, Dragon is moving beyond support for just electronic health record (EHR) systems and including more mundane (but regularly used) communication and messaging applications, such as those from Care Thread, Doc Halo and Imprivata. In addition, Dragon Medical One supports the TigerText developer platform, TigerConnect, voice-enabling apps for care coordination, population health, telemedicine and drug adherence. This demonstrates Nuance's continuing effort to improve physicians' relationships with technology, freeing them to focus on patients. 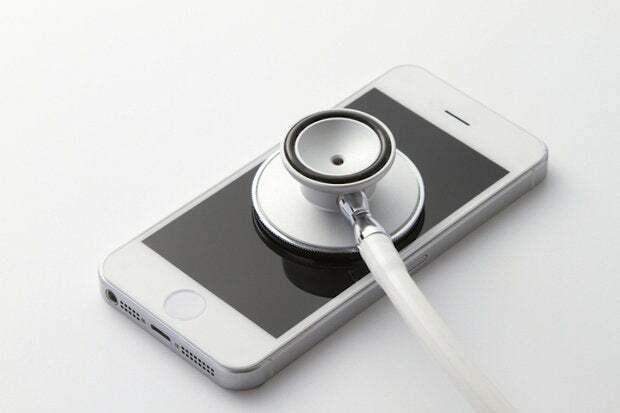 In a survey (which, admittedly, was undertaken by Nuance and hence should be taken with a little bit of a grain of salt), 35% of physicians dictated on a mobile device and 65% used the desktop, where they saved 2.5 hours of documentation for every hour they dictated. "Physicians spend nearly half of their day in front of a computer, and 88% report that they are burned out, citing documentation burdens as a top concern," said Peter Mahoney, senior vice president and general manager, Dragon and clinical documentation, Nuance. "Dragon Medical One helps them reduce documentation time in the EHR, and now can deliver the same benefits across the many other clinical productivity tools they use every day, reducing the total documentation time and allowing them to spend more time with patients." Dragon Medical One will be generally available in April. Nuance clients using Dragon Medical Direct will be the first to receive Dragon Medical One at no cost at that time. Additionally, existing clients of Care Thread, Doc Halo, Imprivata and TigerConnect will be able to enable speech recognition using those tools to further make physicians' jobs easier. I like what Nuance is doing here: applying a broad platform to a specific vertical. The fact that it is being applied to a critically important vertical and will have the likelihood of improving patient outcomes, is very much the icing on the cake.